Ultimately the fate of Anglo-Swedish pharmaceutical company AstraZeneca, under siege from US giant Pfizer, will be decided by its shareholders. But that hasn’t stopped the potential takeover from becoming a political football, with MPs, ministers, businesspeople and scientists all providing their views. Some of them are justified in sharing their opinion – the MP for Cambridge Julian Huppert wants assurances to protect the high value jobs coming to the city from AstraZeneca’s proposed new research campus. University of Cambridge Chancellor, Lord Sainsbury, is concerned about the impact of a takeover on scientific research in the area and beyond. Others however have fewer grounds for comment, but with a general election next year (and a European poll looming), it is a chance for the main political parties to try and differentiate themselves. It is a delicate balancing act, particularly for the Conservatives. On the one hand, they want to demonstrate their free trade credentials, but on the other they champion investment in scientific research as critical to moving the UK away from being a services-based economy. In many ways it is easier for Labour, as they are able to call for decisive action to stop the takeover, without having to actually implement anything. The positive tax implications of buying AstraZeneca and moving its headquarters to the UK have been highlighted as a major attraction of the deal, rather than a desire to invest in research. A pledge to keep 20% of R&D jobs in the UK in the event of a takeover has led to worries that posts will be cut in the US. Finally, its first quarter revenue fell by 9%, $730m below analyst expectations, as patent protection runs out on key drugs. The reason for much of this ire is actually retrospective. MPs and the general public are still smarting after the hostile takeover of Cadbury by Kraft, and in particular the broken promises on factory closures given to parliamentary committees by CEO Irene Rosenfeld. There’s a public determination not to be made a fool of again driving a lot of political behaviour. This means that Pfizer is being cautious and taking the time to get its message across, with CEO Ian Read making trips to the UK (note how his Scottish background is being played up), intense lobbying of the government and assurances being given about jobs in the short-term. However with less than three weeks until the bid deadline of 26 May, expect the tactics to evolve, depending on what will sway stakeholders. In a way AstraZeneca wants Pfizer to turn nasty, so it can claim protection from the Big Bad American, but I think that its opponent’s PR strategy is too clever to fall for that. It will just chip away, giving what appear to be increasingly concrete reassurances in public on jobs, while lobbying investors and politicians behind the scenes, potentially raising its bid without going overboard. Will it be enough? 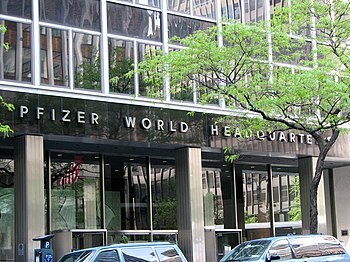 Time (and PR) will tell, but I fear that the combination of Pfizer’s stealth approach and the short-term focus of many investors, will take the prize.